Now, you’re probably a little confused, but I KNOW what you’re thinking. John totally looks better in that white tee than he did in the black tank-top he wore in the previous Soul World. Recently I made an illustration of Olivia and Carl. I liked it so much, I wanted to get it as a poster. 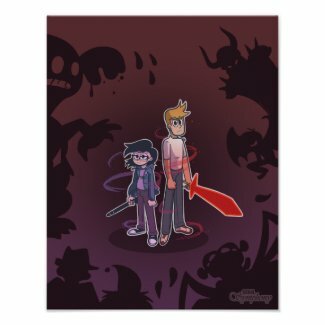 And now you can get it as a poster as well. 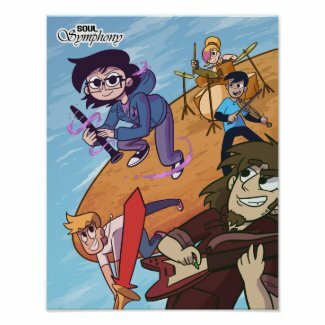 There is a 11×14 [or larger] poster version, an 8×10 print version, and versions with and without the Soul Symphony logo. You can find them in the store. I bought both myself, especially because I was worried that the colors wouldn’t come out right. But I was actually really impressed with how faithful to the digital version it is. 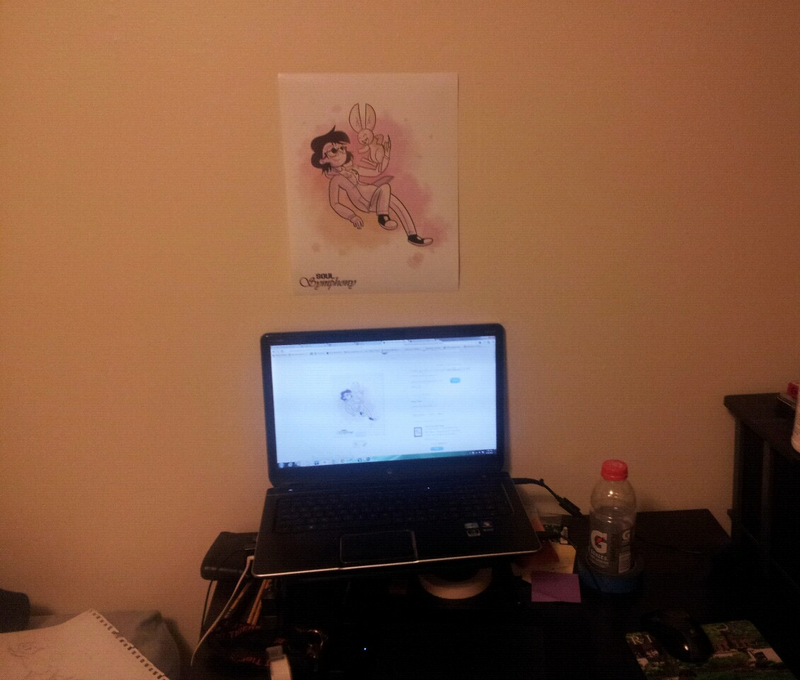 Here’s the 11×14 poster up on my side of my room here at college. Now my side of the room is SIMPLY the coolest. 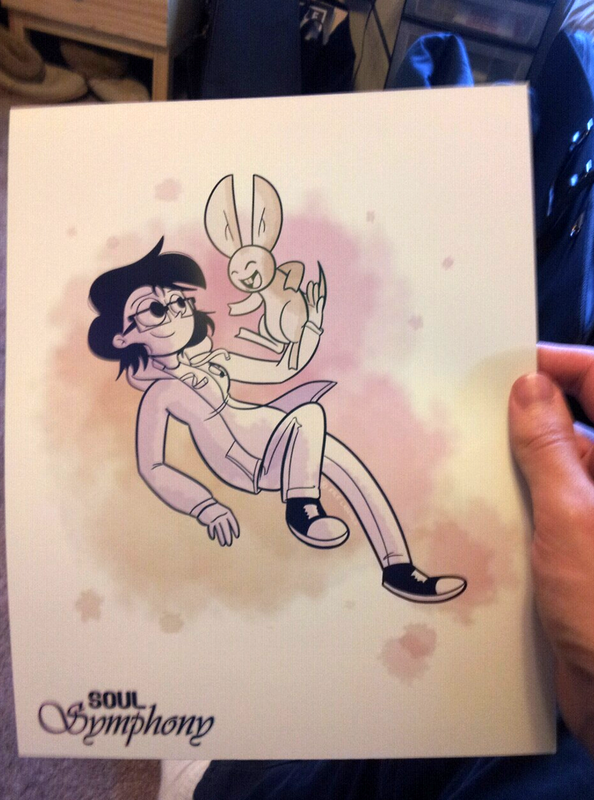 And here’s the 8×10 print version, which came in the mail today. Couldn’t be happier with how it looks. If this is something you’d like to have for yourself, have at it! Good grab, Olivia, now lift him over your shoulders and suplex that mofo! I knew it! Also, that last panel is sweet. 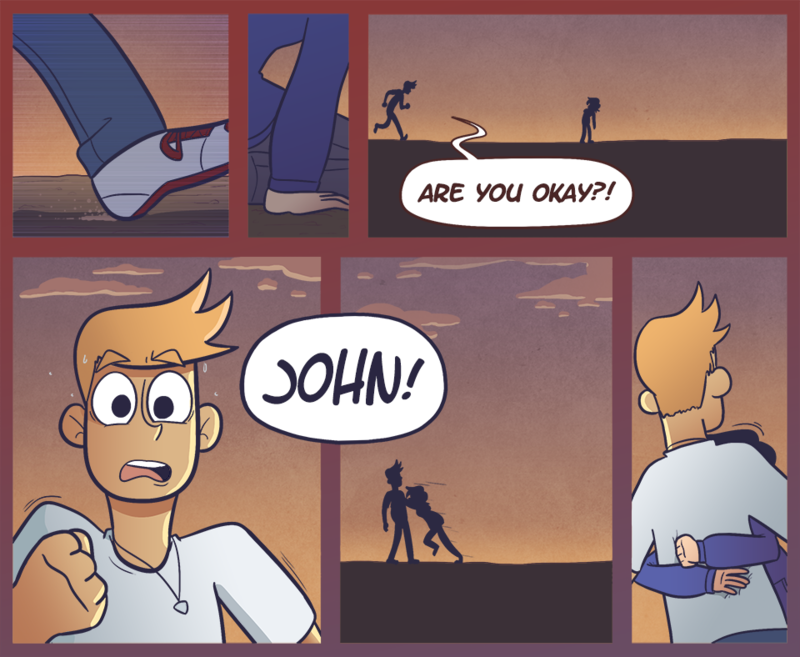 But is it the real John, or Dalton’s memory?